With our recent midterm elections coming to a close, voting season is officially over. News continues to come out about the candidates and people are expressing their excitement or anger at the results. An interesting comment to come up on social media is making sure people know that if they didn’t vote, they are apart of the problem with any results. It is easy for some to turn a blind eye towards this particular voting season because it’s not a presidential election. It makes sense to use your voice when it comes to who will become your president, but it also makes sense to use your voice for your senators and other local politicians, because they can actually have an even bigger impact on you. In Texas, we have approximately 15,249,541 registered voters out of 19,900,980 people eligible to be registered. Out of the registered voter population, we have around 7% of Republican turnout and 5% of Democratic turnout. Not enough people are using their voice in a democracy where we are given the privilege of voting. This isn’t new information, though. We have known about having a low voter turnout and we know people who don’t go to vote. It’s not shocking to us. When people don’t know the real importance of an election, how it will impact them, who the candidates are, and why our vote really counts, it leads to this outcome. Our midterms are gravely important to our state, and its people will be heavily affected. 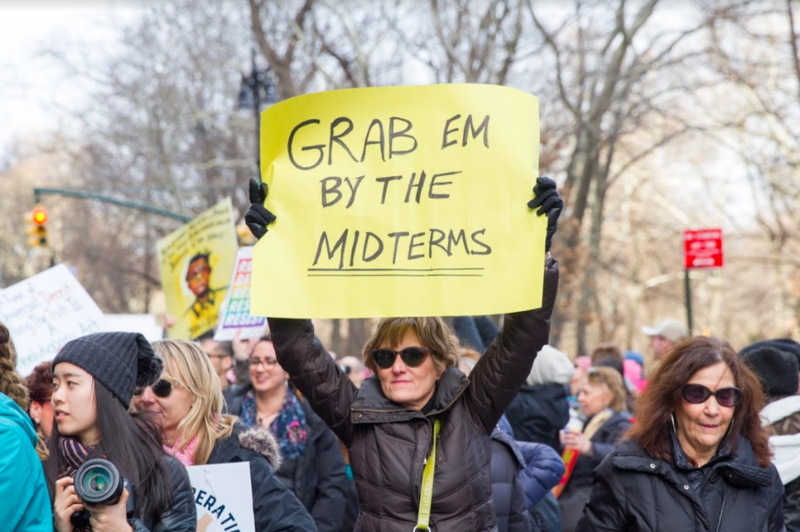 The candidates that have gotten a lot of buzz in this year’s midterms are our Senator candidates – Republican Ted Cruz, and Democrat Beto O’Rourke. With their names popping up everywhere and filling your social media feeds it is easy to know who they are, but we also need to know what their policies are and what they stand for. 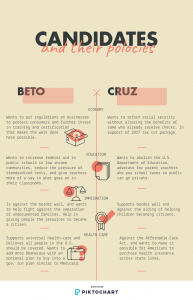 Beto and Cruz both have plans to focus on many issues specifically: agriculture, disability rights, the economy, education, energy, equality, government accountability, gun safety, healthcare, higher education, immigration, justice, and reproductive health. The stances they take are different, and both are thoroughly explained in the accompanying infographic. These are issues that are important in the broader U.S., but are even more crucial in Texas. We are going to raise our children under the education policies put in place. We are going to live through the gun safety laws that will be put into action. Women and people of other gender identities with female-assigned reproduction systems will need to be cared for under their body’s new rights. Where we will be in a year in regards to our higher education can be heavily impacted by the candidate elected. These are all reasons why you should vote and let your voice be heard. There is a lot more at stake here than some recognize, and the impact this will have on our friends, our families, and us as individuals is substantial. Laws regarding healthcare and the fate of the Affordable Care Act affect Texans. The amount we pay in taxes will be determined by these elected officials. Depending on this election’s outcome, immigrant families and DACA students may go through more systematic oppression or finally be given the resources they need. Lastly, the state of our Earth is in these politicians hands. As we can see through drastic temperature changes and many other phenomena explained in scientific journals, climate change is real. As individuals, we can’t stop it, but if we elect a senator who plans on changing our carbon footprint and builds legislation to protect our planet, we can help to delay the crisis that could happen as early as 2040. It’s hard to see how one ballot can really make a change for us and the people around us, but every vote counts. Our voices are essential in fighting the good fight. You can help save someone; you can be part of a change. What Is Intuitive Eating Anyway?